Math Monday: Outdoor Circle Fun. | Child's Play! Math Monday: Outdoor Circle Fun. Spring has brought more outside math to our lives, yay! 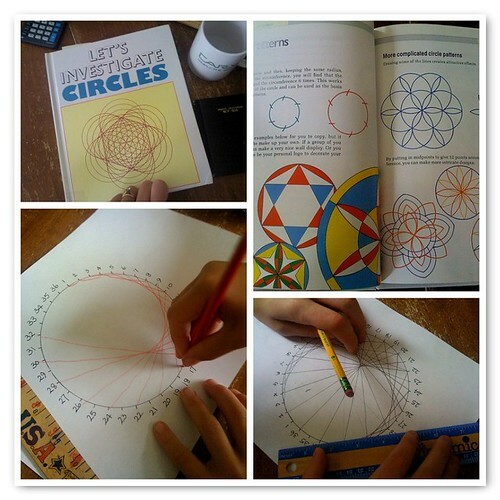 My friend, Sonja, volunteered to host Creative Math Club at her house, because she had a book about Investigating Circles that she was dying to try out with our group of creative and artistic (not necessarily mathmatically confident) group of kids. I thought this was a great idea because I know she has an honest to goodness, pop-popcorn-on-the-stove, popcorn popper that makes the best popcorn ever. 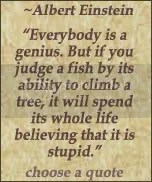 And when dealing with not necessarily mathmatically confident kids (and parents!) the better the food, the happier the math. So we met up at her house, and she set the kids to work finding sticks outside. Once they all had them, she gave each kid a piece of string and a piece of chalk, and invited them to figure out how to make a circle using all of it. After a few hints, they discovered if you tie the string to the stick and then tie the chalk to the end of the string, you have a nice circle making device. Sonja and I were thinking literally about making circles on the ground, but the kids had other ideas. Mainly, using the stick as a lariat to make circles over their heads, around their bodies, behind their backs, etc., etc. Their also was a lot of ‘fishing’ with their contraptions. Each kid had cut their own length of string, so some circles were really huge, and other circles were really small, depending on the length cut. This was a great visual cue of how radius relates to the circumference of a circle. Not that we bored them by explaining that when they were so focused on crawling and drawing and laughing. But it was one of those intuitive connections that comes from experiential learning. Sometimes no words are needed to get the point across. Sonja had lots of multi sized circles all over her driveway, and they played out there for probably 45 minutes. Everyone had a special connection to ‘their’ circle space. Some sat still and chilled, others got some snacks and ate in it (yes, Sassy!) and others walked around their circumference round and round. Sonja then had us come inside to do some circle patterns on a 36 point circle. Very similar to the vedic 9 point circle, only with 36 points which correspond nicely to the 360 degrees of a circle. She also showed me the book Circles (Let’s Investigate). As you can see by the pictures, this book is a fantastic blend of art and math…which doesn’t happen very often! The kids had a great time and we’re continuing with our circle exploration next week and for as long as their interest holds! This was a fantastic way to spend an afternoon with kids, doing ‘fun math’ that was engaging and artistic all at once. I highly recommend it! Search for circle drawing competition on youtube! Those are some crazy-circle-drawers.